By combining your new TV with the right accessories and furniture you can get more from your home entertainment set up. Find the perfect place for your devices at home with a TV stand or TV bracket, achieve the best picture quality with specialist aerials and cables, and interact with your Smart TV in new ways with Smart remotes and TV cameras. Whether you’re creating a new home entertainment system, have just bought your dream TV or have an older set you want to get more from, explore our range of TV accessories for some inspiration on improving your entertainment experience. 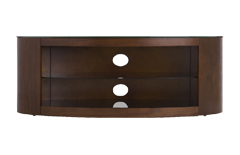 TV stands are designed for different sizes and weights of TVs and some are specially shaped to fit into corners and tight spaces. Take into account how many home entertainment devices you have and look out for stands with cable storage to keep cables out of sight. 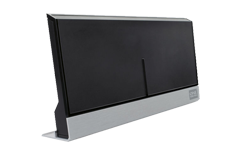 TV brackets give you total flexibility over where you position a TV and don’t take up floor space. 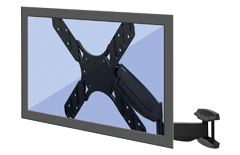 They are designed to hold TVs of different sizes and weights and it’s important to check the VESA mounting dimensions - the distance between the mounting holes on the back of your TV. 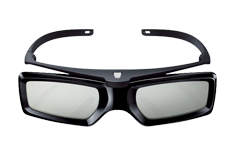 If you have a Smart or 3D TV, you may want to add some extra bits to complete your set-up - from Smart remotes, keyboards and cameras that let you interact in a whole new way, to active and passive 3D glasses, find what you need to make your viewing experience complete. Whether you have a new TV or new devices you want to connect to your current TV, you may want to add some extra accessories to achieve the best entertainment experience. 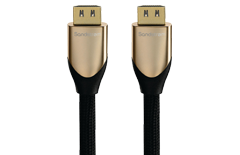 HDMI cables offer the best AV connectivity and look out for cable management products to keep wires out of sight. A replacement remote can be essential when one goes missing, and One-for-All remotes let you control all of your entertainment devices with one handy device. Some even have digital displays and intuitive touch control for extra convenience. A new aerial can help you improve your TV’s picture quality. If you have space, a rooftop aerial will give you the best reception, and indoor aerials are a great choice for those who live in a flat – check the distance to your nearest transmitter to help you choose. 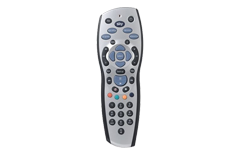 Get the most out of your TV with great value deals on your broadband, TV and home phone packages. Offering impartial advice, straightforward comparisons and exclusive offers, you can find the perfect bundle to pair with your TV.